Once more local farmers find themselves in a precarious position, drawing into question the sustainability of agriculture in Northumberland County and across the province. Members of the Northumberland Federation of Agriculture came before county council asking for a tax break to offset skyrocketing increases in the land assessment last month, only to be turned down. Bruce Buttar, a long-time farmer and member of the Federation, said some farms are facing increases of 123 percent, far above the provincial average of 64 per cent. This is placing a huge burden on local farmers, he said. Farmers already get a break. They pay 25 percent of the residential tax rate on land where they raise crops or graze livestock. (They pay the same residential rates for their houses and building.) Farmers wanted the land rate dropped to 20 percent. When county council refused, there were many technical arguments given. It came down to the shift in taxes from farmland to residential and commercial property. More directly, those living in urban areas would pay more than rural. Think of it as a pie. The municipal taxes are the entire pie. Farmland is a slice; residential taxes represent a slice, and commercial tax represents a slice; and so forth. If farmers pay a smaller amount, then that slice is smaller. That means the other slices need to be bigger to ensure there remains a whole pie. The reason for the incredible increase in the value of farmland is complex and varied. But, one of the biggest reasons is developers and speculators purchasing property, usually next to urban areas. This pushes up the value, as these farmers get top dollar for their land. These prices have a ripple effect. As one farmer sees others cashing in, then they want the same price or more. 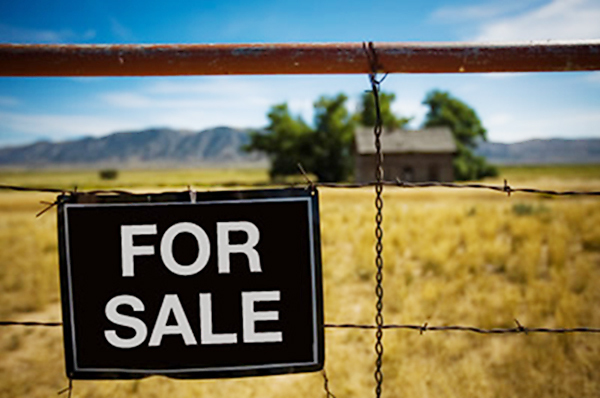 It gets so bad, even when farmers try to sell land to another farmer (not a developer), the asking price gets inflated. So, when the provincial assessors, known as the Municipal Property Assessment Corporation or MPAC, comes along to compare farmland prices, it is out of whack. All this is compounded as municipalities scramble to allow development of farmland into housing because it brings them more taxes. It gets worse when people buy farmers as retirement properties. These lands are transformed into residential. All of this reduces the amount of arable land, making good farmland more scarce; and hence, more valuable. Agriculture is the number one industry in Northumberland County. Politicians are not wrong in denying the farmer’s request, especially one year away from a municipal election. Urban-based councillors would have had a hard time justifying the increases to residential and commercial taxpayers. The county has set up a committee to explore options. Let’s hope it is not smoke and mirrors. This buys politicians time to lobby the province for a meaningful solution. And, considering what is at stake, it should get the same attention as new subways in Toronto. Northumberland farmer Bruce Buttars, a local director with the Ontario Federation of Agriculture, explains concerns over the request for a tax break from county council, land assessments and the future of farming during Consider This Live, part of the Drive Time on Northumberland 89.7 FM.